Mod The Sims - Bender from "Futurama" cartoon series - OFB REQUIRED! 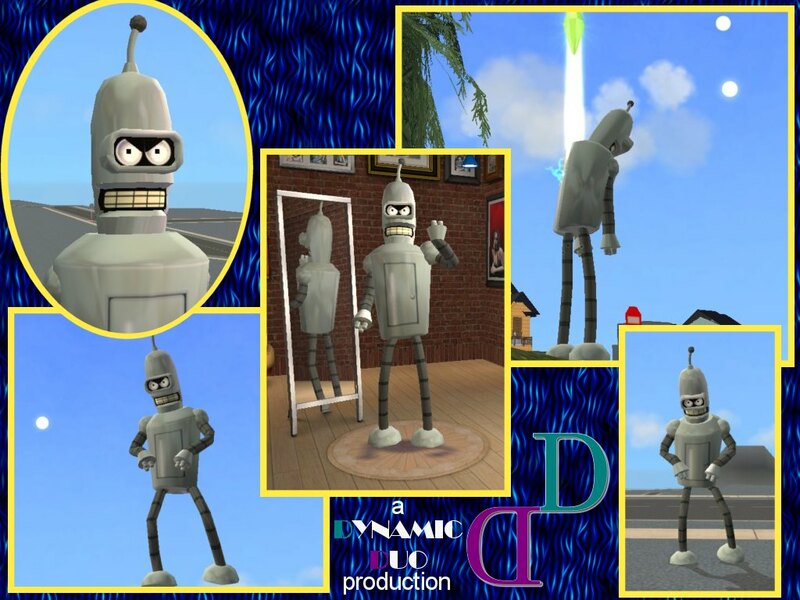 Bender from "Futurama" cartoon series - OFB REQUIRED! Heeeeeere it is! The most irreverent, human-hating and politically-incorrect robot in the whole universe! Of course, the Dynamic Duo couldn't do just "normal" things... Therefore this "sim" isn't a simple "BodyShop" sim: it is a fully funcional "Servo" robot, that will do the chores (reluctanctly ) and play all those nasty tricks that only a human-hating half-drunk robot can do! First off, again, OFB IS REQUIRED for this download. Since the Servo robots can NOT be created and exported using BodyShop, but only created in-game, we included our Bender into a small empty lot. Therefore, you have ton extract the .sims2pack file from the rar and install it using the Clean Installer or (ugh! ) the Maxis installer. Once the neighborhood is loaded, open the lot catalog (not the sims bin! 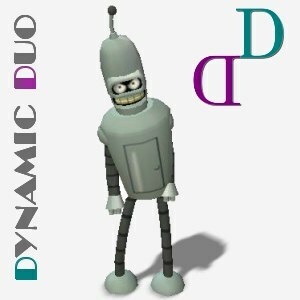 ), and you will find a lot marked with the DynamicDuo logo, and the picture of Bender. Place the lot wherever you like in your neighborhood and you're done. The particular mesh of Bender compelled us to get rid, somehow, of the entire head of the sim. Therefore, we used (and included in the package) a "reduced" version of the Headless Sim by Bink13y. All the other things (mesh, textures, Servo functions and such) were made by the two of us. Like all the Dynamic Duo's creations, you CAN NOT CLONE nor repost this sim - nor any of its parts - on any site, especially the Exchange. You CAN NOT INCLUDE this object in your uploaded lots (you can show it in the screenshots, but please remove it from the lot before uploading). 1490 people have said thanks to Dynamic Duo for this download. If you get an error that says "This content requires expansion pack data that is not installed", please use either Clean Installer or Q-Xpress to install this sim.